Regardless of whether you’ve consumed cannabis for medicinal or recreational purposes, you’re probably well-acquainted with a phenomenon known as “the munchies.” This colloquial term refers to the food cravings that cannabis users often get, which causes them to eat a lot of food in one go and still want more! So it’s quite surprising to find that the American Journal of Epidemiology published a study which shows the connection between marijuana and body weight. Sounds like an oxymoron, right? However, the report states that there’s a lower rate of obesity among cannabis users when compared to non-users, and these findings actually make sense when you realize that you’d be hard-pressed to find an overweight pothead anywhere. The above-mentioned report was based on two epidemiologic studies that were conducted by the National Epidemiologic Survey on Alcohol and Related Conditions between 2001 and 2002, as well as the National Comorbidity Survey–Replication which spanned from 2001 to 2003. According to these studies, the rates of obesity were reduced by 7.7% and 8.1% respectively in cannabis users when compared to non-users. Keep in mind that this study was conducted with participants aged 18 years and above who were using cannabis at least twice per week, versus participants who had not had any cannabis in the 12 months preceding the study. What these results show is that cannabis has the ability to help users maintain a healthy lifestyle in a similar way as exercise does. Now, if you’re a bit skeptical about this study, we don’t blame you. Cannabis use has always been met with a fair amount of cynicism and negative connotations. It’s only recently that research with positive results is coming out to debunk many of the myths associated with cannabis. However, what really adds weight to the results of these studies is the fact that they cast a truly broad net. For example, the NCS-R study had 9,282 participants whereas the NESARC study had an astounding 43,093 participants. They are by far two of the most comprehensive studies to have ever been conducted on the relationship between obesity rates and cannabis use. However, there are a few loopholes that we found in both studies. 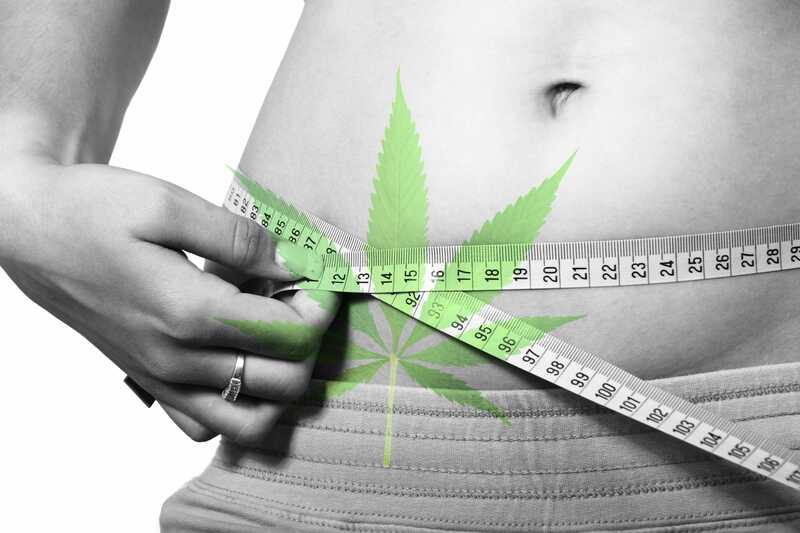 For one, the data collection methods meant that the conductors relied on the participants to provide them with information on marijuana weight loss, height, and the frequency of cannabis use. Whether or not some participants lied when providing this information, we can never know but it does leave room for doubt. The good news is that the researchers were aware of this limitation and mentioned that their data collection methods may have affected the final results. Regardless, the study still shows that obesity is way less prevalent in people who use cannabis than it is among non-users. This comes as good news to a substance and an industry that has faced endless misrepresentation in the media and political arena for years, and it joins a litany of many other scientific studies that are debunking some of the most common myths and stereotypes associated with cannabis. Previous PostPrevious Can Topical Cannabis Be Used for Burns and Wounds?